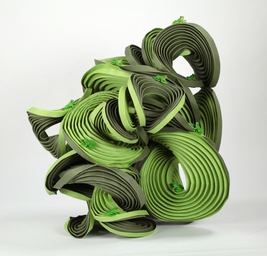 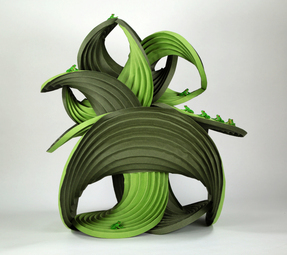 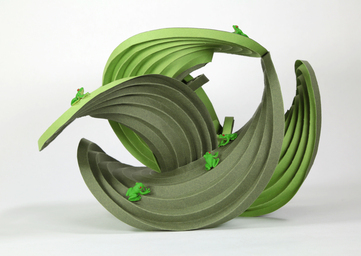 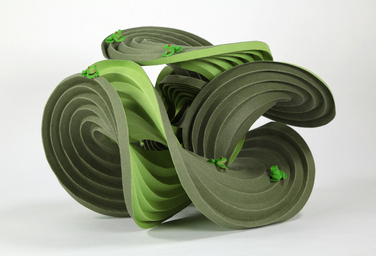 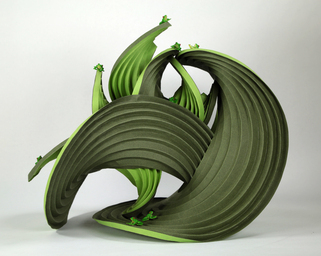 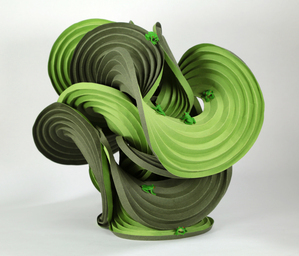 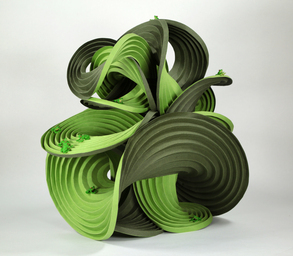 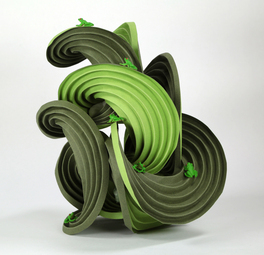 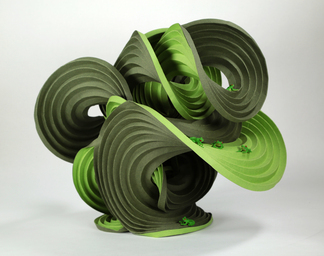 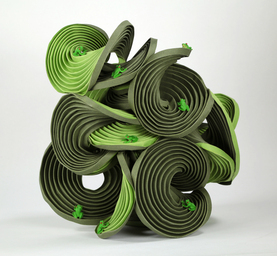 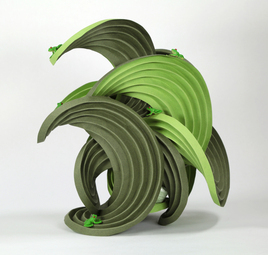 These pieces imagine curved crease sculptures as a new habitat for frogs. 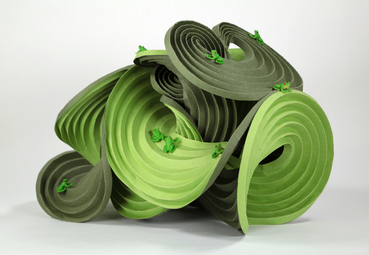 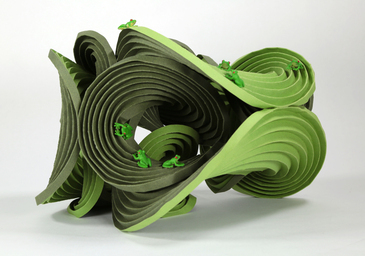 The vinyl frogs can be arranged in many different playful ways on the folded paper. 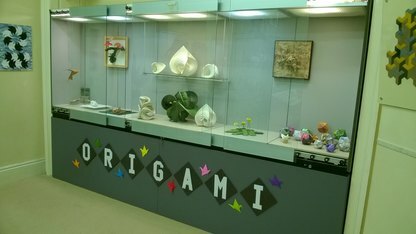 We originally prepared these pieces for the Nature in Art Museum as a combination of nature and art. 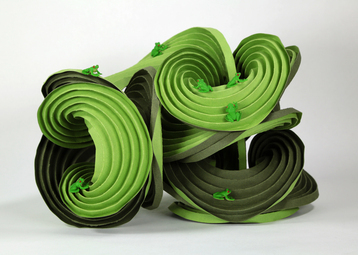 Frogs are among the most deeply affected animals by global warming. 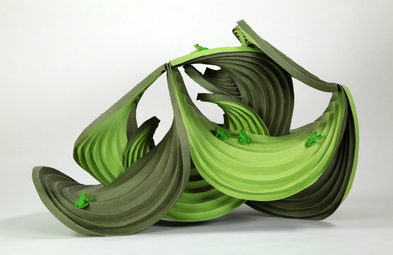 Most recently, in September 2016, the last Rabbs' fringe-limbed tree frog died, making the species extinct. 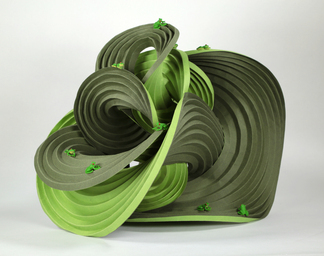 Last updated October 19, 2017 by Erik Demaine.